So, despite the best intentions I'm sadly never going to be the girl who loves to work out. Sure, I love a yoga class as much as the next person and I used to religiously spin three times a week which until recently I'd just felt too tired. Opting to get an early night over a PB. However after struggling to feel content with where I was at both mentally and physically I attended several yoga and pilates throughout January and feel all the more mindful and reassured for it. I find such clarity in a yoga class and whilst all my years of dancing and gymnastics have greatly helped my flexibility, sadly almost in spite against all of the years I've refused to hold onto anything on the tube, my stability is utterly shocking. After feeling too exhausted to get up and go, go, go for so long I'm slowly remembering what it's like to enjoy getting dressed for the gym and my love of workout wear is quickly returning. In a month I've gone from the gal in an old band tee and her barely black leggings to 'I mean business' Sweaty Betty leggings. Thankfully, the high street's selection of sportswear has never, ever been stronger with fun and flattering options perfect for anyone and everyone - whether you just want to be comfy on the sofa or are training for a marathon and need something more durable. *N.B. compiling all of this has made me feel a little inspired to pop on my go to trainers and hit the gym for a little weight training. So, whilst I'm starting with a seemingly non essential work-out accessory as a gal with long hair I can't properly workout with the distraction of my hair constantly falling out of my bobble. Which is why I don't work out without either an invisibobble or a ribbon hair tie in. Nothing holds my ponytail, or bun, in place as securely as these two. Whilst I don't have a large chest, I'm rather overtly paranoid about running, or participating in high impact sports without having the correct and suitable support. I've been known to even wear up to four sports bra's at once in my on-going quest to find the one. For low impact sports like yoga and spinning I wear a Nike Pro Indy Sports Bra, changing to medium support bra like this cloud print Adidas by Stella McCartney style for boxing and relying upon an ultimate shock impact style like this for running. 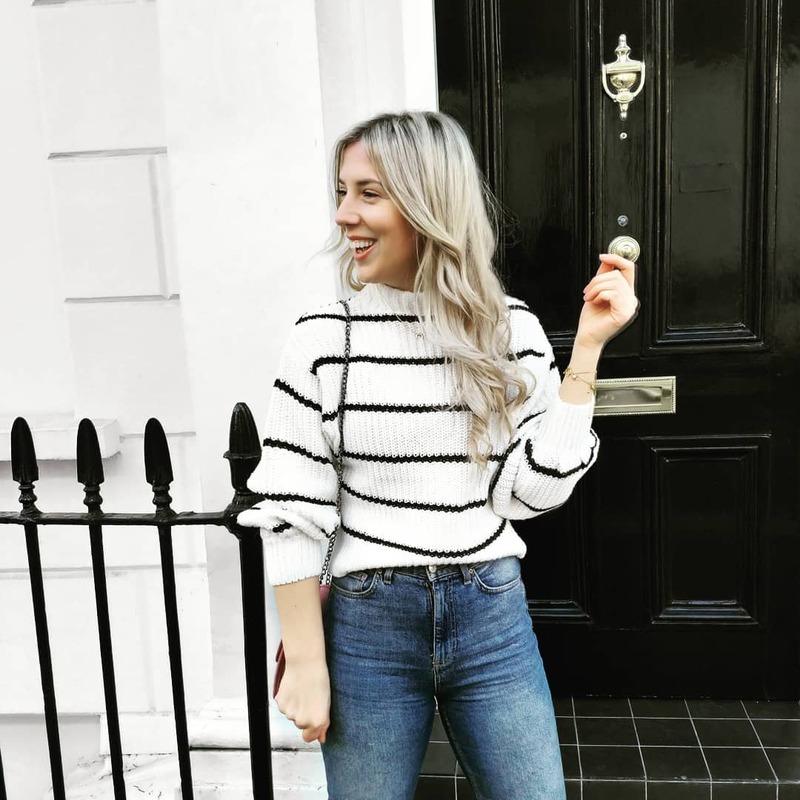 I shared my go-to leggings for cosy nights in and chilled classes within my previous post but for high intensity I look for something that ticks all the boxes. It needs to be functional, fun, figure hugging and flattering. To be completely honest I need to feel good in my leggings otherwise I'll feel too self conscious to work out. Sweaty Betty are my go-to for this, their running tights are unlike anything I've previously tried. They last, wash well and make you feel pretty invincible. If, like me, your problem area is your legs/tummy investing in a pair of leggings that make you feel like you can realllly do your work out without feeling uncomfortable or self conscious. And, speaking from experience, there's nothing worse than having to break your run streak to pull up or readjust your leggings. I was going to link to other more affordable styles but I really think Sweaty Betty's styles are worth every penny. The science and the sculpting that goes into these makes them the best of the best. They even offer 'bum sculpting' styles now - I'm sold. I don't think you can ever underestimate a good pair of socks. Or, at least, you don't appreciate them enough until you've got the worst blisters from running in a rubbish pair. When you're training for a race you can't risk losing a week just to let your feet recover from blisters so it's worth looking into and trying different options in order to find the style and fit that suits you, your shoes and your running technique. Without ever making the decision to, I've only knowingly ran in Nike trainers. Bar one pair from New Balance and a pair of Adidas Tubular's that I didn't really get on with. Nike's Fly Knit's are my favourite for all activities and I love wearing them for everything from squash to sprinting and squats. Trainers, like sports bras, are a very personal choice and it's vital you find a pair that suit you and your sports. Because not all work outs happen on land, picking great swimwear to work up a sweat in as just as important as finding the right sports bra. I've always relied on Marks & Spencer for streamlined, sleek and secure styles. And love both this graphic style and navy slashed option from their new season collection. Topshop, Boden and New Look all have seriously strong swimwear options too.